Life is too short not to adopt a dog. Take a look at the best places in Sydney where you can rescue dogs and change a homeless animal’s whole world. Have you decided that it’s time to bring joyfulness into your home by getting a cuddly piece of fur? Instead of going to a pet store, why not adopt a dog from your local shelter? When you adopt a dog, you not only open your home to a homeless pup, but you also save a life. These puppies are so cute and delightful and can’t wait to become your most loyal friend. There’s a variety of breeds to choose from, a wide range of colours, and they come in all ages. What’s more, you’ll get just as much love, if not more. 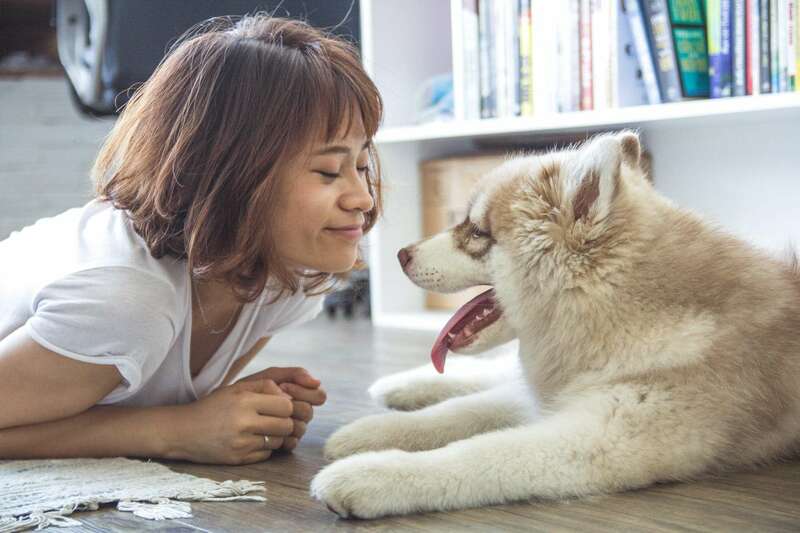 If you opt for an adoption, here’s what you should know about seven of Sydney’s most active pet rescues and adoption organizations. Looking for a furry addition to your family but don’t know where to start? Start with Monika’s Doggy Rescue and adopt your bundle of happiness. This is a registered charity that saves and rehomes dogs from pounds. Monica and her volunteers save these four-legged rays of sunshine from euthanization by placing them with loving and caring families. Here, you can find dogs of all ages and sizes, pure breed or cross breed, or basically anything that your heart desires. All dogs are microchipped, tested for heartworm, and vaccinated by a vet. They receive proper treatment and are returned to good health. Every dog has to spend 8-10 days in quarantine so that it can be observed for any potential illnesses. After this, they stay at the shelter Doggiewood in Ingleside where they wait for someone to adopt them. The shelter asks for reimbursement for the basic desexing, vaccination, microchipping and heartworm testing only. This generally costs between $350 and $500. What types of rescue dogs do they have? Select your dog/dogs from the website. On the website, you can find all the dogs that they have available for adoption. The dogs are categorised by age, pairs, special needs, size/weight and low/ nonshedding. You will see photos of the doggies and a brief description of their temperament. Complete the Adoption Questionnaire form (lifestyle form). You can find all the forms you need to fill out on their website. You’ll need to answer questions about your home, lifestyle, family and most importantly, what you are looking for in a dog. Discuss your needs with the charity and make an appointment. The charity might make suggestions of other dogs that may be appropriate for your living arrangements. The next step is to set up an appointment to meet the doggies. The adoption centre is in Ingleside at 2 McCowan Road. You can find the location information on their website. Meet some of the doggies. You will need at least an hour or more at the shelter to spend quality time with the doggies. You will take each dog that you are interested in meeting for a walk to see how you all get along. After the adoption. You and your family will get some good tips and guidelines for helping your new pet settle into their new environment. Fetch your new forever pal from SSR and help end the overpopulation of animal shelters in Sydney. SSR is a small shelter for rescue dogs in New South Wales. It has been placing dogs with loving families for over 15 years with the help of its dedicated volunteers. They have a wide selection of dogs of all breeds, sizes, and age. What’s more, the shelter also houses dogs who have special needs and are under ongoing veterinary treatment for varying conditions, called Forever dogs. You cannot adopt these dogs but you can always make a donation. All dogs, prior being placed with a family, are treated for any potential diseases, receive a vaccination, and are desexed. 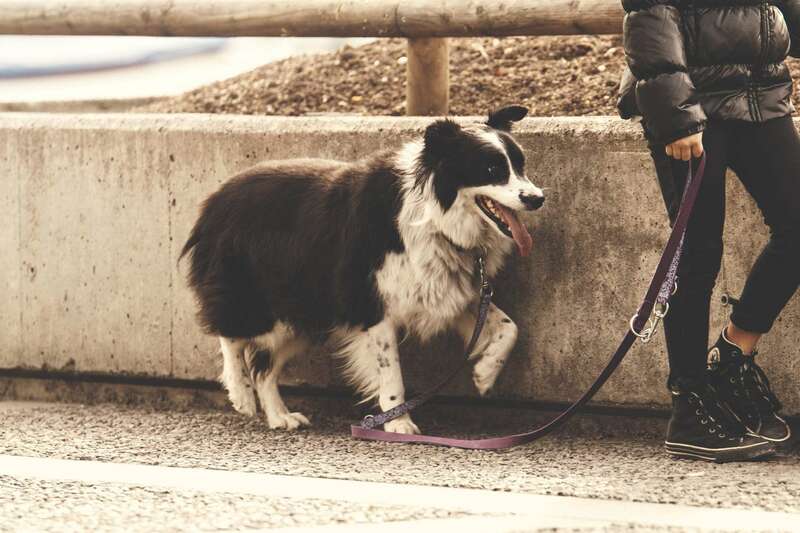 SSR matches potential adopters with a dog that best suits their lifestyle and daily routine. What breeds of rescue dogs do they have? Fill out paperwork. The first step is to fill out the Adoption Application. Upon the team’s decision, you’ll have a one-on-one chat with a carer. You’ll go over your application and discuss your needs, wants, and expectations of a dog. Yard check. If the matchmaking is successful, the team will set up a yard check to see if there is secure fencing and a proper doggy door. Meet and greet. Once you get the green light for adoption, you’ll get to meet and greet your pup. You can visit the pup at the shelter or invite the carer and the pup at your home. This will be your bonding time and see how you match. Sign the adoption agreement. The final step is to sign the adoption agreement. There’s a 21-day adoption trial throughout which you’ll follow the carer’s guidelines. You can end the trial period and return the pet to SSR with a full refund of the Adoption Fee. Reach out to Sydney Dogs and Cats Home and let them help you find your perfect dog. Sydney Dogs and Cats Home are a charity pound and community facility for rescue dogs, cats, and pocket animals. The facility has been taking care of lost, abandoned, and neglected pets for more than 70 years. More than 3,000 new animals come into the shelter each year, waiting to become a loving member of a caring Aussie family in Sydney. There are over 500 volunteers who give over 10,000 hours of their time each year to support the work of this charity. Sydney Dogs and Cats Home offers you the opportunity to adopt a pet, volunteer, or donate funds to help the cause. If you don’t have space or time to look after a dog, you can sign up to volunteer. The volunteering activities include dog walking, cleaning, feeding, grooming, or assisting at special events. Or, you can leave a gift in your will to secure the long-term future of the charity and provide second chances for lost and abandoned pets for generations to come. If you decide to adopt, know that all dogs adopted from Sydney Dogs and Cats Home come behaviourally assessed, vet checked, desexed, vaccinated, flea and worm treated, microchipped and lifetime registered with council. Sydney Dogs and Cats Home offers a 3-week trial with adoptions. If interested, please give them a call to find out more! Animal Welfare League NSW could be harbouring your future furry BFF. This is a registered charity that has been helping abandoned and neglected animals for more than 60 years. The charity manages two animal welfare shelters, one vet clinic, and has 16 branches of active volunteers across NSW. This charity also investigates allegations of animal cruelty and fights to achieve zero euthanasia of healthy and treatable cats and dogs. All dogs are temperament assessed, vet checked, desexed, microchipped, vaccinated, wormed and flea treated. To ensure a long and happy relationship for all, AWL strives to match the adoptable dogs with the lifestyle of potential owners. There are many ways you can get involved with the charity, including by donating, fundraising or volunteering. AWL can match you with a wide selection of lovely rescue doggies. For more information, please visit their website and check out their adorable faces. Simply choose your location and browse the adoptable dogs in your area. Get started: You can call the shelter or pay them a visit. The shelter at Kemps Creek is open 7 days a week from 10 am until 3.30 pm for adoptions. Talk to the staff: The next step is to talk to the shelter staff and complete the adoption questionnaire. 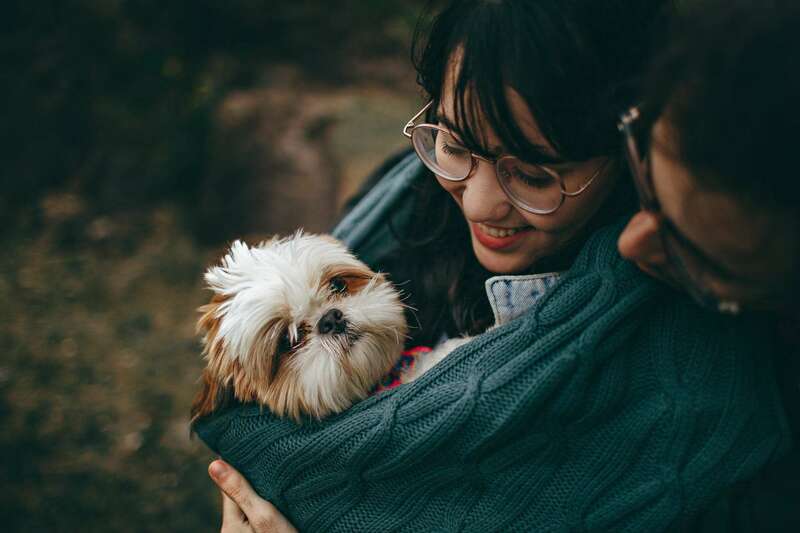 This is an essential part of the adoption as the shelter needs to gather key information about your lifestyle in order to match you with your perfect pet. Meet the dog: This is the part where you and the carer will discuss suitable dog options for your type of lifestyle and daily routine. You’ll meet each one of your suitable dogs and choose the one that wins your heart. The adoption: Once you complete all the required paperwork with the help of the carer, you’ll be ready to take your new doggy home. RSPCA NSW is another great charity organization that you can plan your dog adoption with. They operate nine shelters, four veterinary hospitals, and two Care Centres. 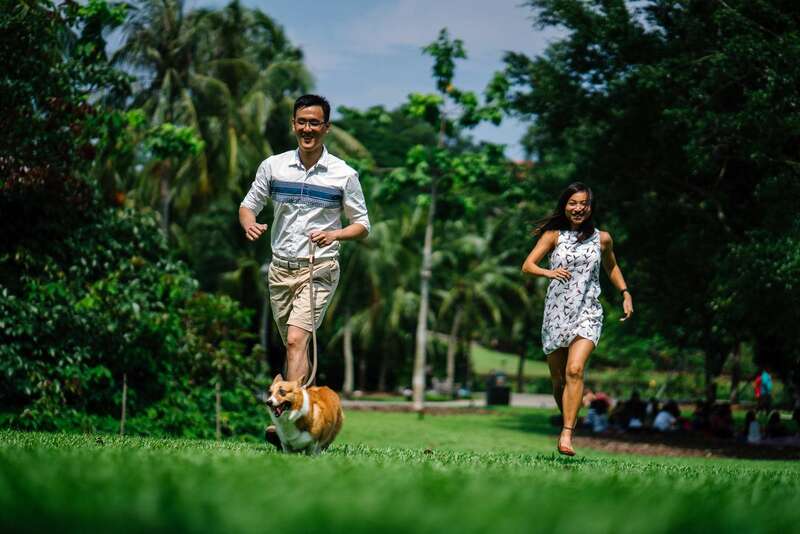 Moreover, they also manage 25 volunteer branches and support teams, one registered training organisation, and support 30 Petbarn adoption centres. Thanks to the work of RSPCA, thousands of sick, injured, abandoned and neglected animals receive proper treatment, accommodation, and care. 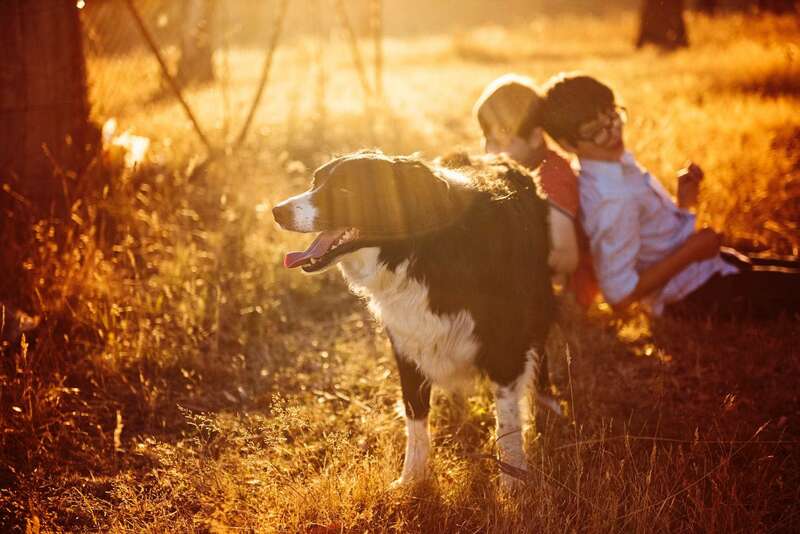 Apart from adoptions, RSPCA NSW also offers community programs, education, training and veterinary services, and fights for animal care, safety, and welfare. All the rescue dogs available for adoption have undergone a comprehensive veterinary check, and have received the needed veterinary treatment and rehabilitation. When adopting, there’s a small fee you need to pay to cover part of these costs. Plan: When adopting, think about your lifestyle and daily routine. What breed of dog will best work for your home, family, working schedule, and budget? 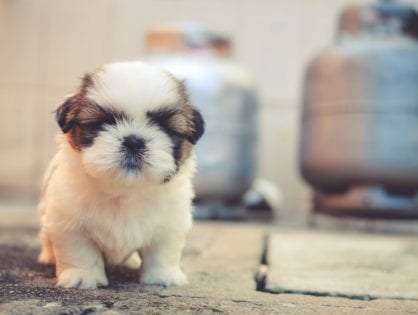 Search: Take a closer look at the adorable doggies, read their extensive profiles and see which one will steal your heart. Get in touch: The next step is to get in touch with the facility where your doggie is and learn more about the adoption process and the requirements. Visit the facility: Dedicate a few hours of your time to make a trip to the facility and speak to the staff in person. You can meet your dog and see how you bond. Pet Rescue is your friend in creating happiness and opening your home to a homeless animal. With more than 8,000 adoptable pets from 985 rescue groups, Pet Rescue fights for a better tomorrow and a brighter future for these four-legged bundles of joy. This is a national animal welfare charity that takes care of neglected and unwanted pets in Australia. They match thousands of sheltered animals with thousands of potential adopters who are looking for a loyal best friend. It’s Australia’s largest searchable database of adoptable pets. 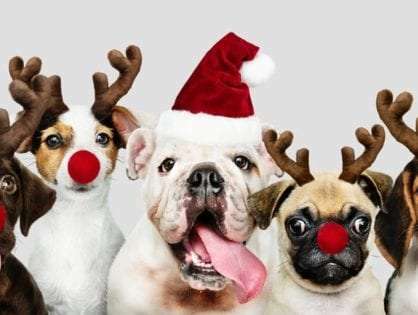 Moreover, as many rescue organisations lack the time, IT resources and funding to build and maintain their own website, Pet Rescue is the most affordable and effective online solution for rescue organisations. Delivering millions of dollars worth of free pet food to rescue pets across the country. Helping pets in their senior years, and pets with disabilities or special needs find the love they deserve. Connecting skilled volunteers from MARS Petcare with their rescue members to deliver 1,000 hours of free professional services. Bringing National Pet Adoption Day to more than 100 PETstock stores every year. Search the database and find the dog you like. Fill in the online adoption form. If you’re successful, one of the volunteers will get in touch to set up a meet and greet at your home. During this meet and greet, the volunteer will perform a quick yard check. The next step will be your 2-week trial period. You’ll be asked to pay the adoption fee. 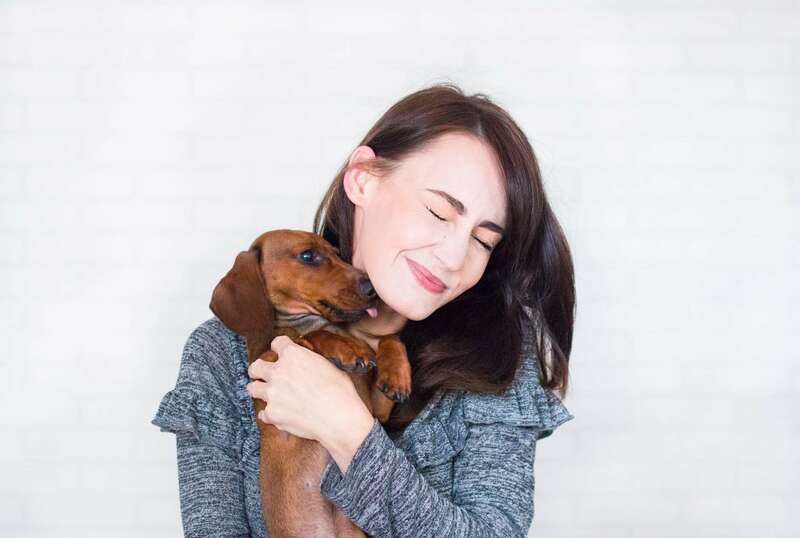 If you feel like you and your selected doggy are not a match made in heaven, you can return the dog and your payment will be refunded in full. If you’re looking for a new furry addition to your family, look no further than the Animal Adoption Agency. Run by a wife and husband duo, the agency is dedicated to helping abandoned and injured animals and finding them a permanent home. With a strict no-kill policy, the Animal Adoption Agency is a safe haven for all the animals surrendered to their Sydney shelter. The agency offers you the opportunity to give a loving dog a new home and show them the love they deserve. With their help, you’ll find your new best friend and bring delightfulness into your home. 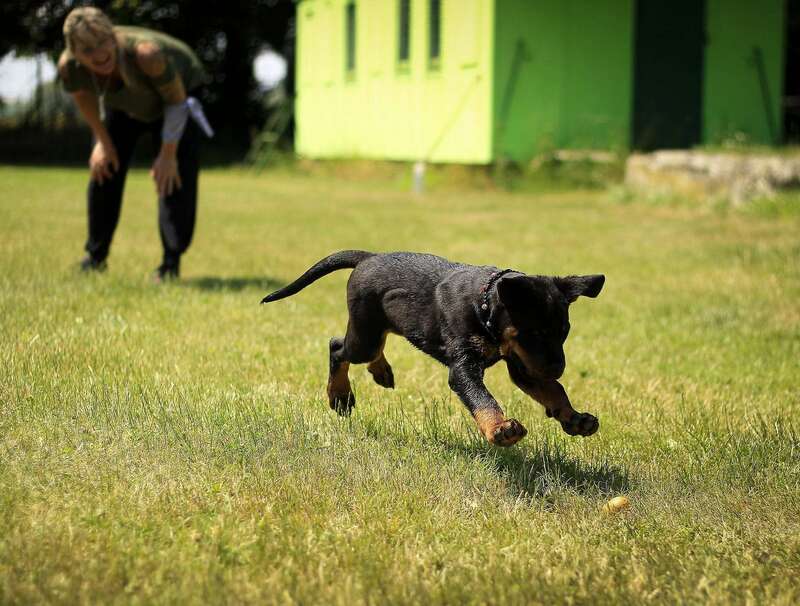 If you’re certain that you wish to become a proud owner of an adorable ball of fur, you can read the dogs’ individual profiles and get in touch with the agency for further information. The staff is always here to guide you along the way and recommend the most suitable dog for your lifestyle. All the adoptable dogs are desexed, microchipped, wormed & vaccinated. In order to adopt a doggy, you only need to pay a one-off adoption fee. You can bring home a small, medium, or large-sized doggie with a wagging tail. If you would like to give a rescue dog a home, please call the agency to arrange a meeting. The staff will provide you with extra information about the pet and will give you a practical advice about pet adoption in general. Now that you know where to look, why not fetch your new best pal from one of these shelters? Skip your local pet store and make the best decision of your life. If you have space at home, the time and the budget to look after a dog, contact a shelter in your area and give these lovable guys a second chance.